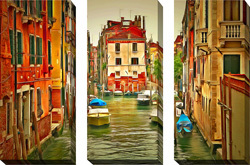 Each of the 3 canvas-wrapped art pieces measures 12 inches by 24 inches. 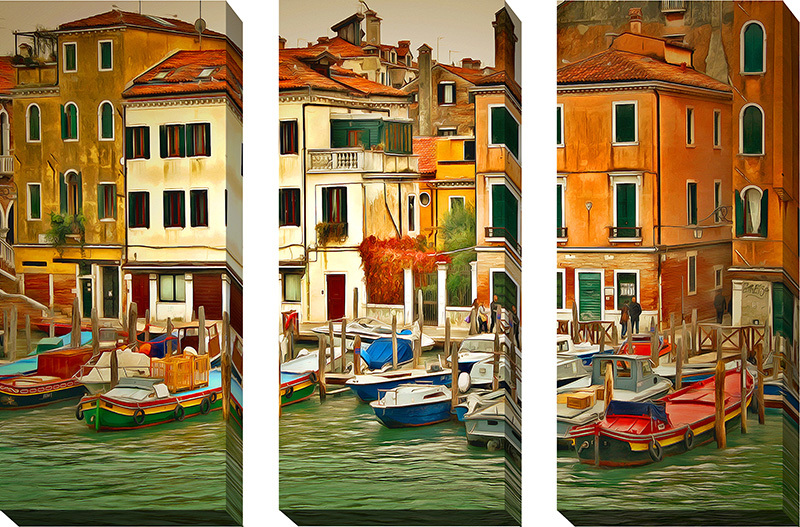 They are printed on a superior quality canvas and finished in the stretched "gallery wrapped" style with a 3/4 inch thickness, whereby the edges are a mirrored extension of the artwork. 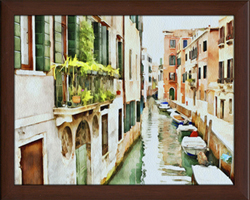 With 3 inches of spacing in between each artwork, you will have a wall coverage of 42 inches wide by 24 inches high.